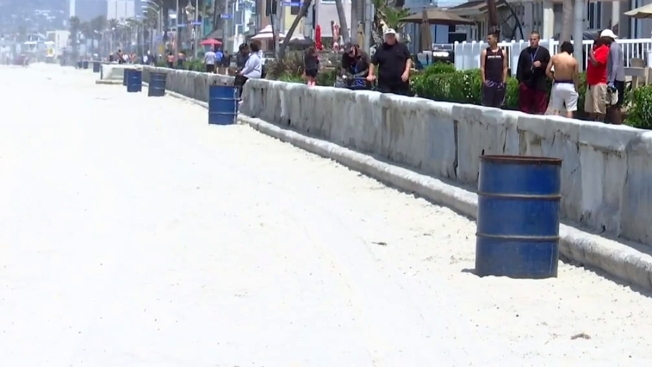 The City of San Diego will increase trash and recycling pickup as well as street sweeping this summer in Mission Beach to fight the fly frenzy that has plagued the area, according to a press release from the city. In April, the San Diego City Council included $70,000 in the city’s 2019 budget for this very reason. “This effort has proven to be quite effective at reducing the number of flies in this community,” Mario Sierra said, the city’s Environmental Services Department director. NBC 7 talked with Mission Beach residents in April who think the money could be better used somewhere else. Starting Saturday and ending in September, the city will collect residential trash twice a week on Tuesday and Saturdays. On Tuesday, the city started an additional recycling pickup that will also go until September. Starting Wednesday, street sweepers are cleaning alleyways weekly through September. In the press release, the city also mentioned a number of other measures residents can take to reduce the number of flies. These measures include taking in trash bins immediately after pickup, not parking in alleyways to allow for street sweeping and keeping bins away from drain inlets.